Lumia 730, Lumia 830, and Lumia 930 launched in India. The tech giant Microsoft after taking over the mobile division of Nokia launched three Windows phone in India this week. 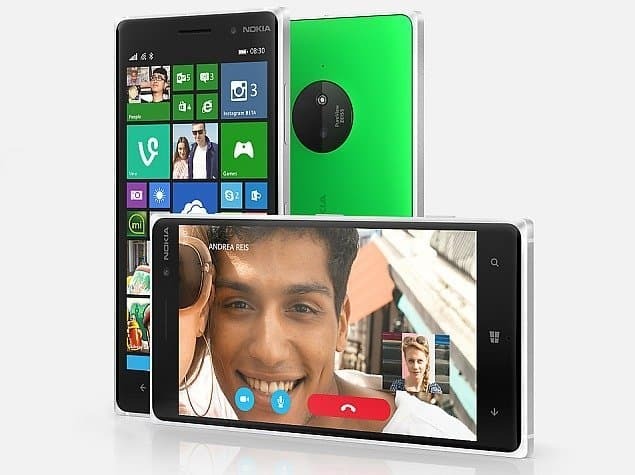 The Lumia 730 dual sim smartphone, Lumia 830, and Lumia 930 at the price tag of Rs. 15,299, Rs. 28,799, and Rs. 38,649 respectively. The Lumia 730 and Lumia 830 will be available from October 8 while the Lumia 930 will be on sale from October 15. 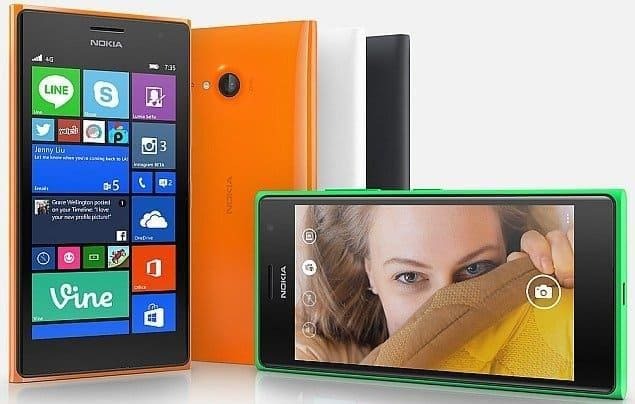 The Lumia 730 was announced at IFA event in Berlin, which was held a month back. It will come in Bright Green, Bright Orange, Dark Grey and White colors. It has a 4.7 inch display with Corning Gorilla glass 3 protection and with a resolution of 720×1280 pixels. It is powered by a 1.2GHz quad core Snapdragon 400 processor along with 1GB of Ram which is enough for a Windows phone as its not ram hungry. It packs a 5MP front camera as it is meant for the new ‘selfie’ generation, and a 6.7MP primary camera. Coming to battery and storage, it has 2220mAh of battery to last upto 22hrs while on 2G and 17 hrs while on 3G network. It has 8GB of onboard storage which can be expanded upto 128GB via a micro SD card. The Lumia 830 was also announced at IFA event. Microsoft also claims the Lumia 830 to be the “thinnest and lightest Lumia to date.” It will be available in Green, Grey, Orange, and White colors. 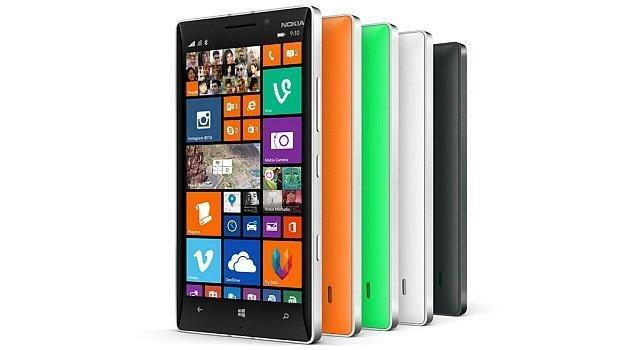 Lumia 830 has a 5-inch HD ClearBlack IPS LCD display with a resolution of 720×1280 pixels. It offers a pixel density of 296ppi. It is powered by same 1.2GHz quad core Snapdragon 400 processor along with the same 1GB ram. It has an onboard storage of 16GB, which is double than the Lumia 730. The built in storage is expandable upto 128GB via a micro SD card. It packs a 2200mAh battery which is slightly less than the Lumia 730 but it offers another feature i.e wireless charging. Coming to its camera, it has a got an amazing rear camera, a 10MP PureView camera with Carl Zeiss optics and a Led flash. It also has a front camera of 0.9 MP. Now the Lumia 930 which was announced back in Build 2014, held on April alongside the Lumia 630 and Lumia 635, is seriously the best of Lumia with such a wonderful design and superb specs. It is available in Bright Orange, Bright Green, Black and White colors. It has a 5 inch full HD display with a resolution of 1080×1920 pixels. It offers a pixel density of 441ppi. Along with this it also comes with Corning Gorilla glass 3, the ‘Super Sensitive Touch’ feature, and ‘a near 180-degree viewing angle’. It is powered by a 2.2 GHz Qualcomm Snapdragon 800 SoC along with 2GB of ram. It comes with 32 GB of onboard storage. It packs a 20-megapixel PureView primary camera with optical image stabilization and Carl Zeiss optics alongwith 1.2MP front facing camera. It has also got four directional microphones integrated for Dolby Surround Sound. It runs on a 2420mAh battery and is capable of wireless charging. Previous articleiPhone 6: Main Disadvantage of iPhone 6 and why Apple failed?